With a stay at Ninh Kieu Riverside Hotel in Can Tho (Ninh Kieu), you'll be steps from Ong Pagoda and 4 minutes by foot from Ninh Kieu Park. 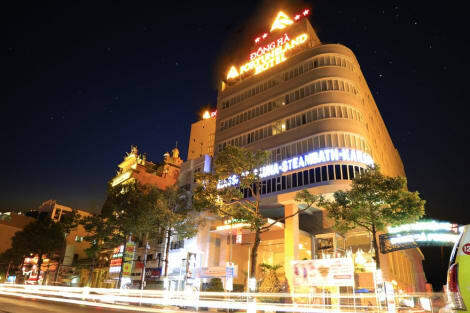 This 4-star hotel is 0.2 mi (0.4 km) from Can Tho Museum and 0.4 mi (0.6 km) from Ho Chi Minh Museum. A stay at Fortuneland Hotel places you in the heart of Can Tho, within a 15-minute walk of Cai Khe Trade Center and Can Tho Harbour. This 4-star hotel is 1.1 mi (1.8 km) from Ho Chi Minh Museum and 1.1 mi (1.8 km) from Can Tho Museum.